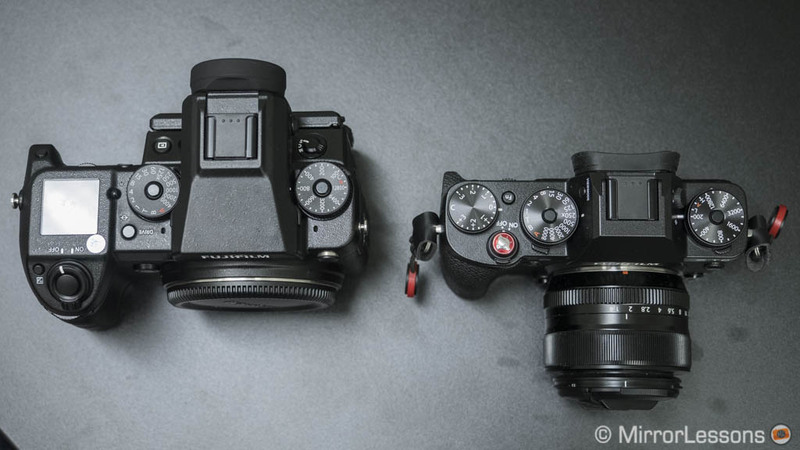 Our second hands-on is all about the new Fujifilm medium format camera. Many users were asking for 35mm format, but the brand decided to go even larger! 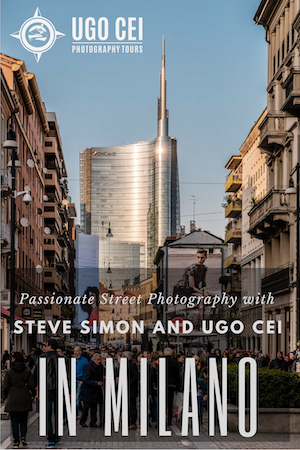 Granted, the camera targets a specific market of professional photographers but it is interesting to see this segment expanding with more and more competitors. Keep in mind that Fujifilm only announced the development of the camera which means that specifications are not final and subject to change. Here is our video. The camera feels quite light which left us with a positive impression. 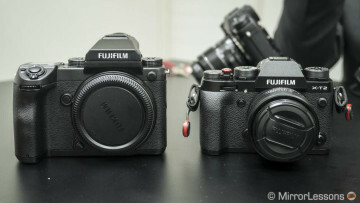 The lenses are bulky as expected given the large sensor they need to cover but our overall feeling is that the GFX isn’t larger or heavier than a full-frame DSLR kit. The first model, the GFX 50s, will sport a 43.8 x 32.9mm sensor (1.7x larger than full-frame) which is about the same as the one inside the Hasselblad X1D. Keep in mind that in medium format terms, this is still considered a “crop” sensor. It has 51.4 MP of resolution. 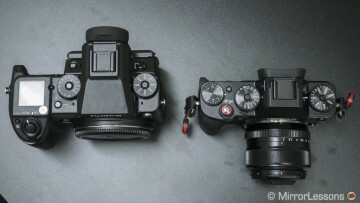 The camera will have lots of aspect ratios including 5:4, 7:6, 1:1 and a 65:24 panorama format. The high megapixel count allows you to keep a decent resolution regardless of the aspect ration chosen. Of course this will happen by simply cropping the sensor to achieve the desired aspect ratio. It will use the new X-Processor Pro engine and hopefully include the film simulations we all know and love. I wouldn’t be surprised if new profiles are being developed for the camera as well. The ISO sensitivity range should be similar to the X-T2 but starting from a native ISO 100. 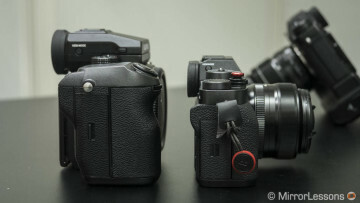 The sensor is not made by Fujifilm but specifically developed for the new camera, much like the APS-C series. However, in the place of X-Trans technology, there is the traditional Bayer sensor. The GFX has a focal plane shutter and a maximum speed of 1/4000s, which is a first for a mirrorless medium format camera. There are many characteristics inherited from the X-series: exposure dials, an aperture ring on the lenses, a 3-way tilting screen and the AF joystick just to name a few. The grip felt comfortable and an optional vertical battery grip is in the works. 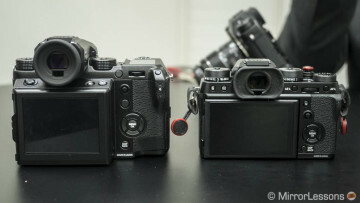 An external electronic viewfinder will be supplied with the camera and an optional accessory will allow you to tilt it up and rotate it to the left or right. Six lenses are in the works and can resolve more than 100MP. It is likely that the GFX 50s is just the beginning. There is no official price yet but Fujifilm plans to released the camera, the 63mm lens and the EVF for less than $10,000. As always, don’t hesitate to leave a comment to share your impressions or ask a question! Below are some side-by-side product shots showing the GFX prototype and X-T2. Check out our Photokina 2016 coverage here.